Two hosts – to allow for rotation of 2 science activities at one time for up to 20 children. Parents/Children can select the science based activities prior to the party at their event planning session with the Gizmos & Gadgets Party Director. 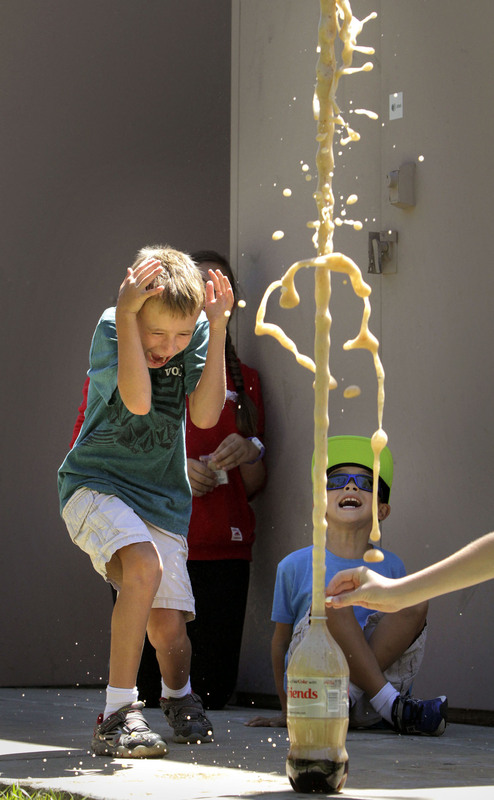 Activities could include Exploding Rockets, Bouncy balls or Dry Ice Experiments, or mixing some edible potions to name a few. We bring all the materials needed to your location so you can sit back and relax for two hours! Want to combine some engineering or art to your party? Just talk to our hosts and we can tailor a party for you!